Store displays can either draw in customers or put them off. Displays are a great tool for featuring the products that are most profitable for you to sell, for creating intrigue and interest, and for cultivating an atmosphere that helps people feel welcome and comfortable. There are many types of displays to choose from, each with its own purpose and advantages. So how do you create an effective retail fixture or store display for your business? 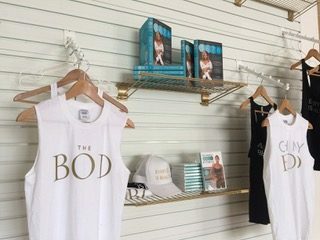 What should you consider before displaying your merchandise? These questions and more are answered in the following guide. First, let’s start with some best practices for product displays in general. It’s tempting to throw everything you’ve got at your customers in an attempt to get them to buy anything. However, when customers are met with visual chaos, it’s harder to focus, and they are less likely to spend as much in your store. No matter what kind of store display you’re designing, it’s important to create a focal point. Focal points are a specific element or area that is designed to draw the interest and attention of a viewer or customer. You can create focal points using several different methods such as color, size, movement, or use of space. When creating a focal point, remember that the main focus should be a product, not some other visual element you are using to sell the product. A compelling narrative can build a brand and help your customer see him or herself buying your product. Create a story that shows customers why they need your product and how it will improve their lives. The point is to create a story where your customers can visualize using (and therefore purchasing) your product. After stocking a store, you might think there is absolutely no empty space left. If that’s the case, you might want to look up. Between the tops of displays and the ceiling, there is usually a lot of forgotten space. So long as you’re paying for the square footage, you might as well use it. Hang up helpful signs that help your customers identify different areas of the store. Highlight designers and brands that drive customer traffic. Tastefully display lifestyle images that show people realistically using your product. Don’t be afraid to toot your own horn with glowing but concise customer testimonials. Of course, a crowded space is a chaotic space. No matter whether you’re designing a window, shelf, or stock display, you want to showcase an organized, clutter-free space. Allow for a proper amount of empty space between every sign, image, display, and product. Before potential customers enter your space, they should already be able to get a taste of your merchandise, brand, and style from your window displays. Make sure the items you choose to display are easily found in your store. Pick one theme per area. Change out the themes with the season/appropriate holiday. Use a mix of signs, product, and images to sell your brand. Highlight too many items in one display. Forget to check the displays regularly for fallen or broken items. Your window displays offer an opportunity to entice potential customers before they set foot in your store. It’s the perfect space to show off some of your most desired products in a way that showcases your brand. Use these products to drive your customers into the store. You want these products to be easy to find, but don’t make the mistake of putting all of your displayed products at the front of the store. Draw your customers further into your retail space by placing these products in intuitive spaces throughout the store. Hopefully, they’ll browse and find more things they like. As you change out your displays with the seasons and retail holidays, don’t forget to change the decor in the rest of your store as well. You don’t want customers to experience a jarring difference between the window displays and the interior of your store. In many retail locations, most products are displayed on wall shelving systems and store fixtures. Don’t just throw items on a shelf; use all of the organizational retail fixtures available to create dynamic displays. 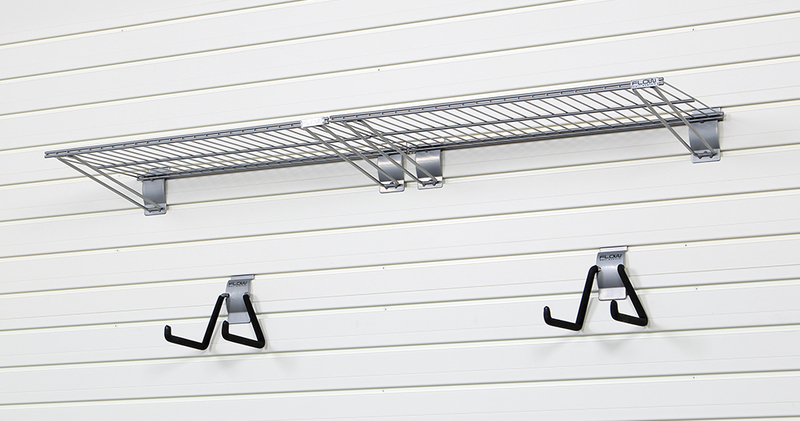 Use a mix of on-shelf displays and wall mounted hooks. Use Slatwall paneling to make your displays more customizable. Display similar products near each other. Use mounted bins to contain and display small items. Place best sellers between eye level and knee level. Adjust display height according to the targeted age. Stuff too many different products on one shelf. Place shelves too close together. Display breakable items within reach of small children. Although most stores use shelf displays, yours doesn’t have to look tired or boring. Slatwall paneling allow you to easily create dynamic displays using shelves, hooks, bins, cabinets, and more. Watch your inventory replacement rates. You’ll want to make sure you have enough of each product on display to accommodate regular customer flow, but you don’t want to overcrowd the shelf either. Remember, an overly crowded, unorganized space is stressful and off-putting. Use focal points to lead your customers through the aisles to the most profitable items. Stock retail displays are a great way to show off your most profitable products. Because they are displayed outside of the normal system, customers will often pay more attention to these products. Make the display easily accessible from multiple angles. Include relevant fliers, coupons, etc. with the featured product display. Feature items that easily spoil when handled. Allow the display to get disorganized or messy. Stock displays are an excellent place to feature profitable products and try to upsell your customers. For example, you can choose to display similar items together such as pots and pans or similar styles of games to try and take advantage of add-on sales. You can also capitalize on companion products by displaying different, but complementary items together. For example, you can pair new movies with a popcorn bucket, microwaveable popcorn, candy, and a small blanket for an easy-to-assemble movie-night package. When choosing to pair multiple products together, choose one item to be the focal point while the other items complement the chosen product. Depending on your brand products, you’ll want to decide whether you want to use permanent or mobile displays or a mix of both. Consider your brand, products, and customers when deciding whether you should use more permanent or mobile displays. If your product offerings change regularly, movable designs can be a great option since you have to take down and put up new products anyway. Movable displays are also good for seasonal sections of an otherwise steady store. If your store features more steady product offerings that your clientele relies on finding easily, then invest in more permanent displays. It’s important to keep your layouts fresh. If nothing ever changes, your customers may start to fall into a quick get-in-get-out routine that discourages impulse buys and new discoveries. There are many ways to keep your layout fresh and exciting. Change up the layout with movable displays. Switch up the products displayed at the ends of aisles. Change lifestyle images and other visual displays. Of course, there is a line between keeping your layout fresh and confusing your customers. Let your brand and customers be your guide when it comes to deciding how extensive your changes should be and how often you should make them. 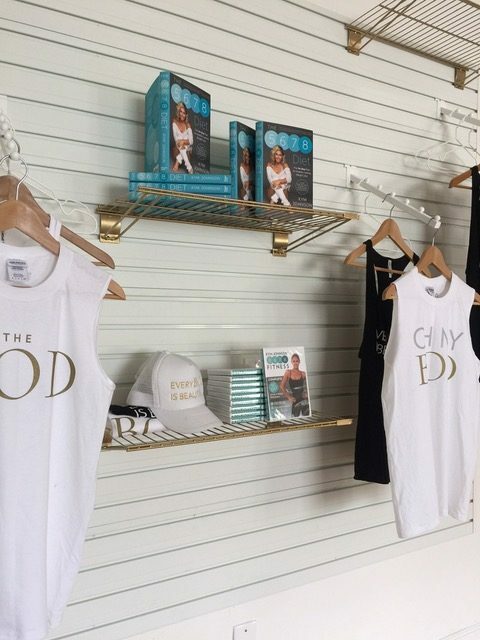 When Kym Johnson heard legendary Richard Simmons was closing shop, she wasted no time buying the space. While Kym wanted to pay homage to Richard’s well-known studio, she also wanted a fresh look that reflected her own personal brand. With help from Kelli Ellis, an RST Brands Outdoor Living Brand Ambassador, she was able to create a modern look for the studio. With slat walls as the base, she was able to transform both the office space and the merchandise area using cabinets, cubby storage, and shelves. Use your store displays to tell your story. In Kym’s case, she used modern design and customizable slatwall paneling to pay homage to the history of her studio, but also to showcase her own brand as well. 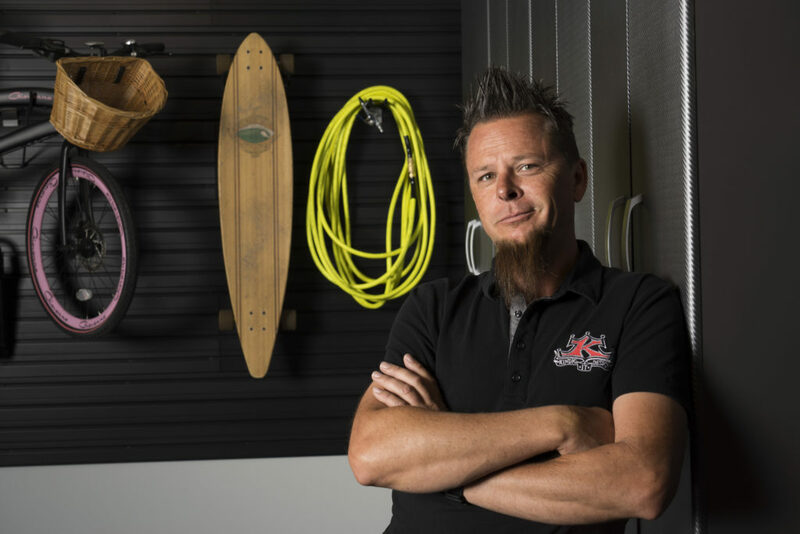 Dave Kindig owns a custom car shop called Kindig-IT that reflects his rock-and-roll spirit both in the store and on his show “Bitchin’ Rides” on Velocity TV. Dave has a passion for automobiles and efficiency, which is why he considers organization key to finding and building on success. And since he’s known for building one-of-a-kind custom cars, he needed his shop displays to reflect his eye for great design. 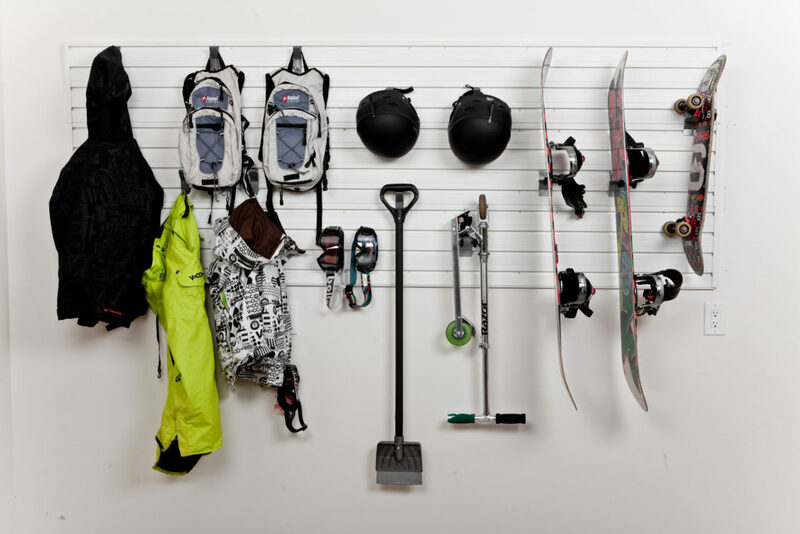 Starting with durable slatwall panels, Kindig picked out a combination of high-quality cabinets of varying sizes to hold equipment, tools, and more. 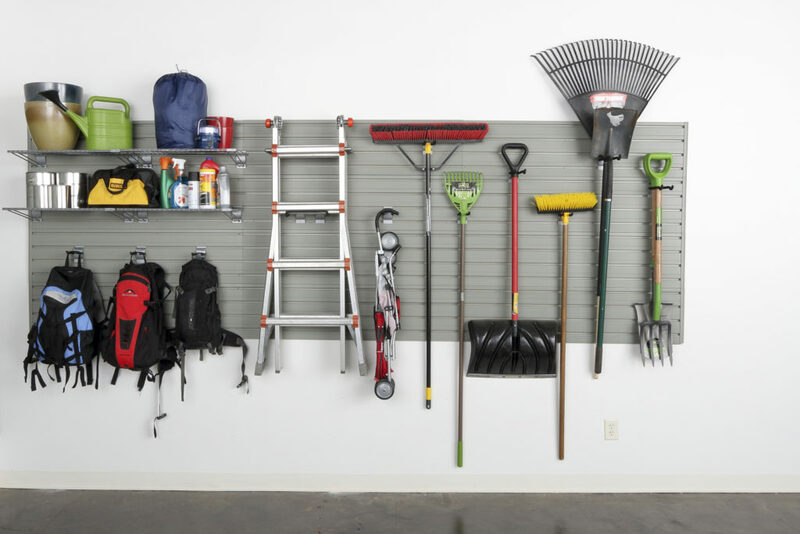 He displays commonly used items using various hooks and racks that attach easily to the slatwall paneling, so that his favorite tools are always within reach. A mixture of wall-mounted shelves and cabinets made use of his space so he could store exactly what he needed, and everything was in its proper place. How you organize your store displays can have a big impact on how your customers interact with your products. Feature your most profitable merchandise in easy-to-view displays, and make sure the featured products can be found easily in your store. 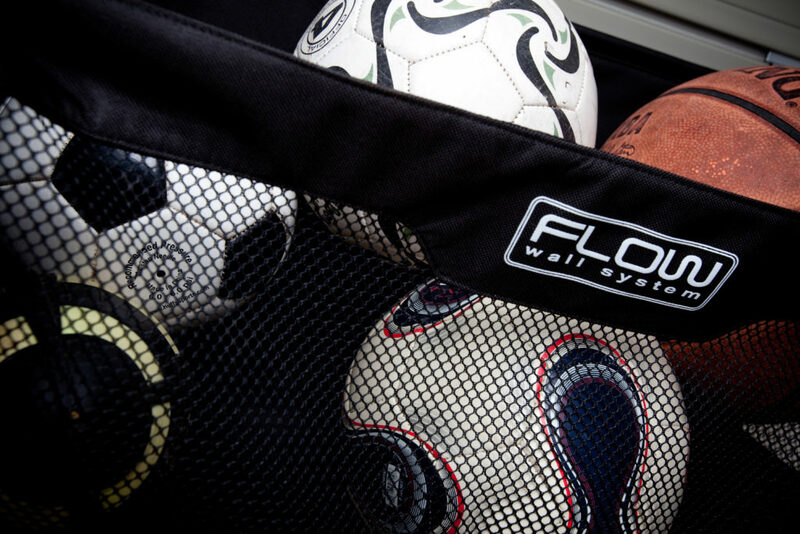 Flow Wall products offer easy, customizable solutions for all of your store fixture and merchandise display needs. Learn more about how Flow Wall can help you today.